No open toed shoes or sandals. Please wear long pants. 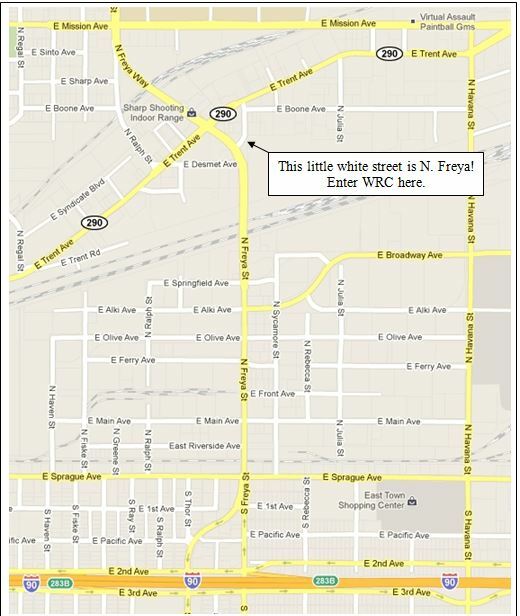 From I-90 (east or west): Take the Freya Exit and head north on N. Freya Street. Cross the bridge over the RR tracks and you will see the Spokane County Water Reclamation Facility to your right. Immediately after the bridge N. Freya St. sweeps to the left, becoming N. Freya Way; get into the right lane and turn right onto N. Freya St. The entrance to the Water Reclamation Facility and WRC is immediately on your right.